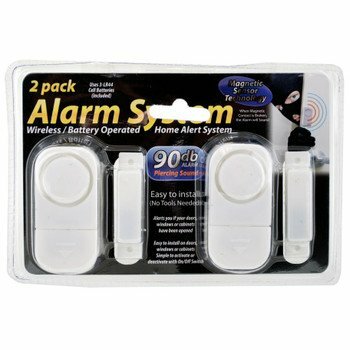 Window Alarm System (2 Pack 4 alarms) by alarm system at Epfup. Hurry! Limited time offer. Offer valid only while supplies last. 2 Pack Alarm System designed to alert you in the event of a window, door, cabinet etc has been opened. A loud 90db siren will immediately alert you. 2 Pack Alarm System designed to alert you in the event of a window, door, cabinet etc has been opened. A loud 90db siren will immediately alert you. Easy operation to arm/disarm. Protect Doors, Windows, Cabinets etc. If you have any questions about this product by alarm system, contact us by completing and submitting the form below. If you are looking for a specif part number, please include it with your message.